Canadian buy out company Onex Corporation has agreed to acquire Swiss aseptic carton packaging maker SIG Combibloc Group for up to EUR3.75 billion, with an additional amount of up to EUR175 million payable based on the financial performance of SIG in 2015 and 2016. This is Onex’s biggest transaction to date. The transaction is anticipated to close in the first quarter of 2015, subject to customary conditions and regulatory approvals. SIG is the second largest provider of aseptic carton packaging globally. Based in Switzerland, SIG provides beverage and food producers with a comprehensive product portfolio of aseptic carton sleeves and closures, as well as the filling machines that producers and packagers use with these sleeves. The company operates seven production facilities globally, based out of Europe, South America and Asia Pacific. SIG has 5,200 employees serving a mix of leading multinational and regional customers in more than 40 countries worldwide. “SIG’s management team has successfully proven its ability to enter and grow in new markets, while maintaining its standard of excellence in existing markets,” said Nigel Wright, a Managing Director in Onex’s London office. The equity investment of approximately US$1.25 billion will be made by Onex Partners IV, certain limited partners as co-investors, including Onex, and SIG’s management team. In addition to its purchase of SIG, Onex also announced a smaller investment in Advanced Integration Technology (AIT), a Texas-based aerospace company. 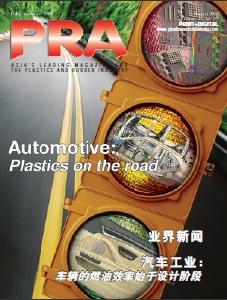 In the plastics sector, Onex bought US-based extrusion equipment supplier Davis-Standard from financial group Hamilton Robinson Capital Partners as well as German machinery maker KraussMaffei Group in 2012. It sold Toronto-headquartered injection moulding machinery company Husky Injection Molding to Berkshire Partners and Omers Private Equity in 2011. With offices in Toronto, New York and London, Onex through its Onex Partners and ONCAP private equity funds acquires and builds high-quality businesses in partnership with talented management teams. At Onex Credit, Onex manages and invests in leveraged loans, collateralised loan obligations and other credit securities. The company has approximately US$20 billion of assets under management, including US$5.9 billion of Onex capital, in private equity and credit securities. Onex invests its capital directly and as the largest limited partner in each of its Funds.